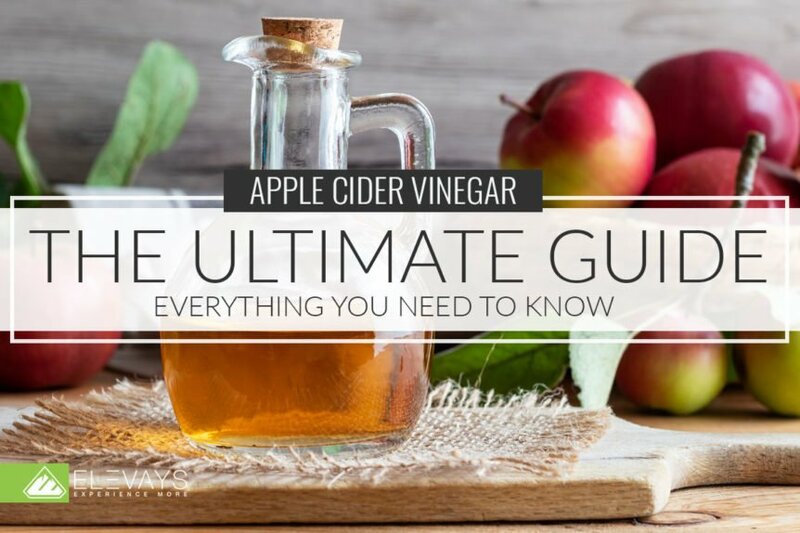 Vinegar has been an important part of people’s diets and medicine cabinets for thousands of years, and apple cider vinegar is today experiencing something of a modern renaissance. Claims about what it can do for regulating blood sugar levels, helping people lose weight, preventing heart disease, improving athletic function, and more are being scientifically investigated, and the results are more promising than ever. I suspect we’re only scratching the surface of what generations before us have always known–apple cider vinegar makes us healthier and happier. What is Apple Cider Vinegar and Why is Drinking It So Beneficial? The Babylonians sold flavored vinegar, Hippocrates used vinegar to manage wounds, the Old Testament references vinegar as medicine, and Sung Tse, the father of field forensic medicine, used sulfur and vinegar to prevent infection in 10th century China (1). Our word for vinegar comes the Old French words vin and aigre, which mean sour wine and gives us a clue about how most cultures likely stumbled across the benefits of vinegar! Here’s how vinegar is created: first, alcohol is made. Alcohol forms when something like wine or apple juice–anything that has enough sugar–is introduced to yeast and turns into ethanol. When the alcohol or ethanol is exposed to acetic acid bacteria, the acetic acid bacteria consume the ethanol and the byproduct is acetic acid. Remember that term (acetic acid), because it will prove shortly to be an incredibly powerful agent for holistic health. Acetic acid is what makes vinegar vinegar, and the concentration of it determines the strength of the vinegar. The normal range is from 3-5% to nearly 20%. Like other kinds of vinegar, the better the original ingredients, the better the end result. That’s why we recommend using organic, unpasteurized apple cider vinegar! Apple cider vinegar is made in a process much like any other vinegar: apples are juiced through a crushing and sieving technique, and then combined with yeast and bacteria to begin fermenting. Once the apple juice sugars have turned into alcohol, the liquid is turned over to the acetic acid bacteria and a second fermentation process begins. The traditional method for making apple cider vinegar (ACV) takes months, and there are still people making small batches in this way. However, commercial apple cider vinegar manufacturers have developed processes that take just a day or two. What Brand of Apple Cider Vinegar Should I Buy? It’s not uncommon to find raw (unpasteurized) apple cider vinegar that has a slimy thread-like film in it. This is called the “mother,” and it’s completely harmless. In fact, it contains bioactive good-for-you substances, so don’t filter it out (2). You’ll likely find the mother in brands like Bragg’s, which is one of the best and most popular brands of raw apple cider vinegar available to day. Why Should You Consume Apple Cider Vinegar? Because of apple cider vinegar’s long history, it has a huge range of uses. Some have been scientifically researched and others haven’t, but we’re sharing both today to help you learn how to use ACV as part of a holistic lifestyle. What might be most surprising to people about apple cider vinegar is how much it has been researched by the scientific community. In other words, this is not only a folk or traditional remedy (though we like those, too!). Could you lose weight just by drinking apple cider vinegar? One study suggests it’s possible. A 2009 study conducted in Japan researched daily acetic acid consumption and found that study participants lost weight while consuming it without making changes to their diets or lifestyles (3). It might be that apple cider vinegar helps people lose weight by increasing feelings of fullness or satiety–which also helps us consume fewer calories. One study found vinegar consumption after consuming white bread “increased the subjective rating of satiety” (4) and another found that test subjects ate less over the course of a day when given vinegar (5). A 2016 animal study divided eighteen subjects into three groups, two of which were fed high fat diets. One of the high fat diet groups also received apple cider vinegar daily; the other did not. At the end of the test, researchers concluded that “this preliminary study indicates that the metabolic disorders caused by high fat diet…are thwarted by taking apple cider vinegar which proves to have a satiating effect…” (6). When it comes to weight loss, apple cider vinegar isn’t a lose-weight-quick scheme, but when you use it over time as part of holistic lifestyle changes like diet and exercise, you will reap the benefits of feeling fuller, faster and losing weight. It’s estimated that 1 in 3 adults is pre-diabetic–and probably doesn’t know it (7), making diabetes one of the most concerning public health issues today. It’s implicated in numerous other conditions, including heart disease. You’re twice as likely to struggle with depression, for example, if you have diabetes. What’s worse is that a child’s risk of developing diabetes skyrockets if one or both parents are diagnosed with the condition before the age of 50, meaning that if we don’t find a way to manage it, we could be putting our children at risk (7). Fortunately, diabetes is very manageable–and apple cider vinegar can help! Vinegar has a long and very promising history of helping individuals regulate blood sugar levels. In fact, it’s one of the most well-documented health benefits of apple cider vinegar! In the animal study we mentioned above (6), researchers also concluded that apple cider vinegar had a blood sugar stabilizing effect. A 2017 study published in a major diabetes journal found that “vinegar can be effective in reducing postprandial glucose and insulin levels….” The study authors concluded that vinegar could be a tool for achieving better glycemic control (8). An earlier study, also published in a major diabetes journal, concluded that subjects with type 2 diabetes or insulin resistance could improve their insulin sensitivity after a high-carb meal when they also consumed vinegar (9). In 2008, scientists in Pakistan performed a study on normal and diabetic animals. Both groups were fed apple cider vinegar as part of their diets. The diabetic group saw a decrease in HbA1c levels, a decrease in serum triglyceride (TG) levels, and an increase in HDLs, or “good” cholesterol (high HbA1c levels can lead to severe diabetes complications). The normal group saw a decrease in LDLs (“bad” cholesterol) with an increase in HDLs. Study authors concluded that apple cider vinegar improved blood sugar and cholesterol levels, indicating their value in managing diabetes (10). Could something as simple as a salad dressing change your health? The 1999 Nurses’ Health Study found that nurses who ate salads with oil and vinegar dressing 5-6 times a week had a significantly lessened risk for coronary heart disease. Researchers first conjectured it was the oils in the dressings, but when heart disease among nurses who ate salads with oil dressings but not vinegar was compared to heart disease among the vinegar group, it became clear that it was the vinegar that made the difference (11)! Acetic acid–the main ingredient in apple cider vinegar–has been shown to lower blood pressure (12, 13, & 14) and apple cider vinegar has been directly tied to improved cholesterol levels (10). What does all this mean for you? If your cholesterol levels are high, fatty deposits may be developing in your blood vessels, ultimately causing a heart attack or stroke. And if your blood pressure is high, you may also be at risk of a stroke, heart attack, or damaged heart or blood vessels. Using apple cider vinegar can keep your heart and cardiovascular system in optimal health–without the terrible side effects that come with many cholesterol and blood pressure medications. What Else is Apple Cider Vinegar Good For? A study published in 2016 found that patients who treated their varicose veins with an external apple vinegar application enjoyed a decrease in cramps, pain, leg fatigue perception, edema, itching, pigmentation, and other symptoms. The researchers concluded that the easy application “increased the positive effects of conservative treatment,” making it a harmless and potentially beneficial treatment for a very frustrating concern (15). If you have acne, you can also use diluted apple cider vinegar as a toner; the acetic acid may prevent the growth of acne-causing bacteria and help with scarring. Apple cider vinegar hasn’t been proven to help with acid reflux, but it’s a home remedy that many swear by. Simply add one or two tablespoons to eight ounces of water and drink to calm stomach acid and relieve symptoms daily. Raw apple cider vinegar is also alive, and it can be extremely beneficial to your gut health by adding healthy bacteria to your gut’s microbiome. Consume 1-2 tablespoons in water daily for maximum impact. Vinegar has been used traditionally as a disinfectant thanks to the power of acetic acid, which has been proven to kill tuberculosis bacteria (16), as well as strengthen your immune system. You can use it as a countertop spray (dilute with the same amount of water) to clean your kitchen or bathroom naturally, or you can mix a tablespoon with honey for a natural, powerful way to kick a sore throat. Nothing’s more annoying than fruit flies buzzing around your kitchen, but a simple apple cider vinegar trap works wonders! Simply leave out a cup of apple cider vinegar near where the fruit flies congregate; they’ll be attracted to the apple smell but die when they land in the vinegar. Apple cider vinegar, like all vinegars, has a low pH, and can be great for hair that’s dull, frizzy, or brittle because it can bring your hair back into balance. It also has antifungal properties, which can help with itching. 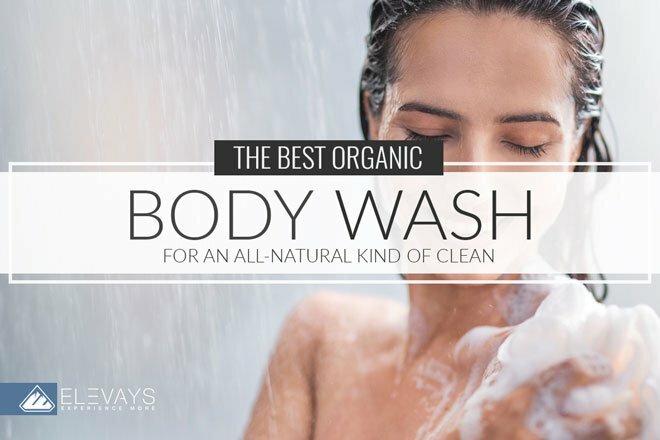 To make an easy-to-use rinse, combine two to five tablespoons of apple cider vinegar with a cup of water, and pour over your hair in the shower after you’ve shampooed your hair. Allow it to sit on your scalp for several minutes and then rinse out. Be careful not to get it in your eyes! One of the best ways to get started making apple cider vinegar a part of your diet is to consume one to tablespoons per day, diluted in four to eight ounces of water. Most of the studies reported to date have studied apple cider vinegar consumed in these amounts, so it’s a safe bet to get the reported benefits. Lots of people wonder about the health benefits of apple cider vinegar tablets but to be honest, there’s not much data to back up these maker’s claims. Since they probably don’t contain the all-important acetic acid that liquid vinegar contains, I suggest you stick to liquid apple cider vinegar for now! What Are Some Recipes That Feature Apple Cider Vinegar? If you don’t want to take apple cider vinegar as a supplement, you can use a salad dressing recipe that includes apple cider vinegar. Honey and ACV are a match made in heaven, and this Raw Apple Cider Vinaigrette from Detoxinista makes the most of the combination by adding mustard, olive oil, garlic, and fresh lemon juice. This Perfect Apple Cider Vinaigrette from Yummy Mummy Kitchen uses maple syrup instead of honey for a more subtle taste. Eating Bird Food’s Zesty Tahini Dressing is a fresh way to enjoy apple cider vinegar; it calls for tahini, tamari or soy sauce, and nutritional yeast for a truly unique flavor. This Summer Fruit Shrub Recipe (make sure you use apple cider vinegar!) revives an old-fashioned drink and looks like a refreshing treat. Ahead of Thyme’s Apple Cider Turmeric Detox Drink combines the powerful anti-inflammatory properties of turmeric with the benefits of apple cider vinegar. If you want a warm apple cider vinegar drink recipe, try this recipe for tea! It calls for ACV, lemon juice, honey, and cinnamon to kickstart your morning. While there are a lot of great recipes that call for cooking apple cider vinegar, unfortunately the health benefits of apple cider vinegar disappear if it’s cooked, so make sure you consume it raw or as an apple cider vinegar juice. Should Anyone Not Take Liquid Apple Cider Vinegar? Apple cider vinegar is one of the safest supplements you can consume, but like all good things it’s best in moderation. It is an acid and can potentially damage your tooth enamel or cause discomfort or pain to your throat or mouth, so make sure to dilute ACV when taking it orally, and rinse your mouth out afterwards. Add a pinch of sea salt to the water to help re-balance the pH of your mouth. Why should you consume apple cider vinegar? Besides its obvious health benefits, it’s a way to reintroduce an ancient food back into our modern lifestyles. It’s easy to include in your diet and comes with some serious health benefits. The real questions is–what are you waiting for? How will you start drinking apple cider vinegar? Now that you finally understand all the hype behind magical apple cider vinegar I want to hear what you are most excited to use it for! Can you not wait to use it as a toner?! Or are you totally psyched to heal your gut with it (shedding a few pounds wouldn’t be bad either)? Let me know in a comment below how you will harness the powers of apple cider vinegar!